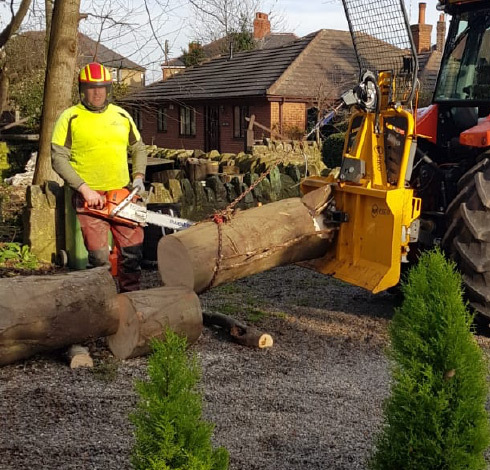 Axcess Tree Surgeons are a family run company providing a comprehensive range of specialist tree services at competitive prices. 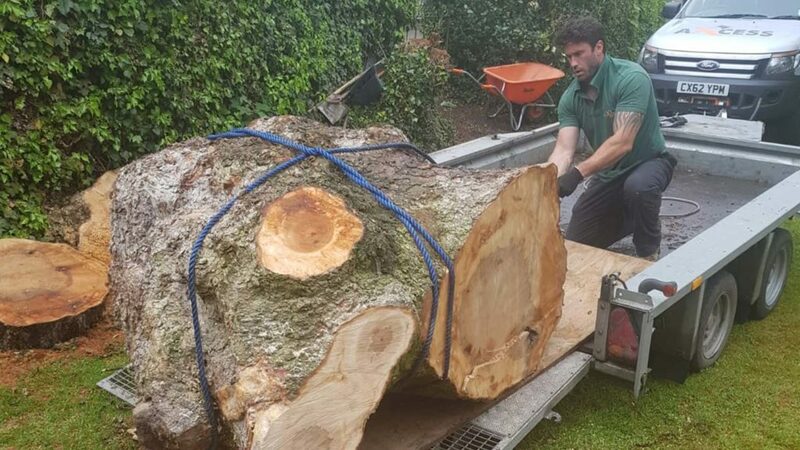 We believe that the combination of our skills, together with our wealth of experience is the most successful way of providing tree care solutions, and the most effective in ensuring customer satisfaction. 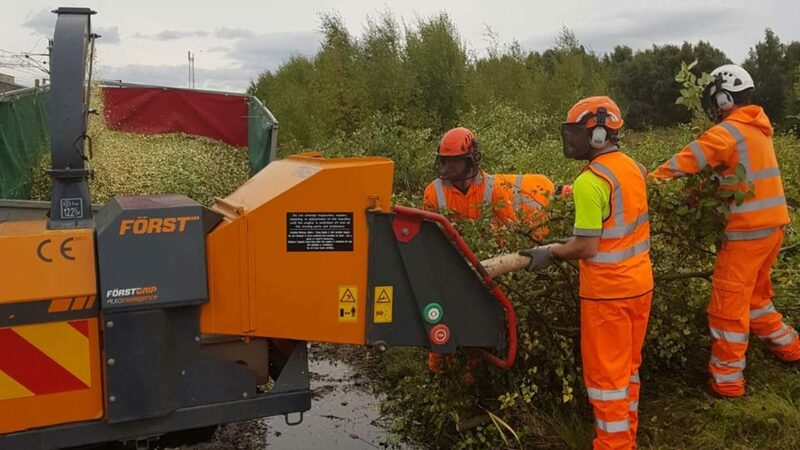 We’ll handle any situation from a single tree removal in a private back garden to a large scale commercial land clearance. We treat our clients with the highest priority and endeavour to provide the best service possible from a fast turnaround site visit, a competitive itemised quote with clear prices and finally various dates with our closest availability. When you choose Axcess Tree Surgeons to carry out your garden project you can expect an excellent quality of workmanship. • Free quotations and advice. We had a complex site awaiting to go for planning permission in an area surrounded by houses in a residential area. We needed the site to have a good clear, but show respect for the residents in the surrounding area. The job was excellent and very competently fulfilled. A fabulous professional team and manager. Thanks very much. 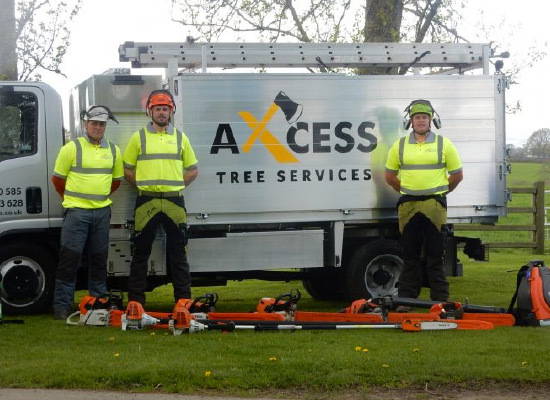 We have used Axcess treecare for a number of years and they have proved to be safe, reliable and effective. They have removed very large trees within 10 metres of my property with total accuracy and the site was cleared up immediately afterwards. I have no hesitation in recommending their services. A highly professional company who arrived exceptionally promptly. Our problem was resolved safely and with great care, with as little impact as possible on our hotel business. 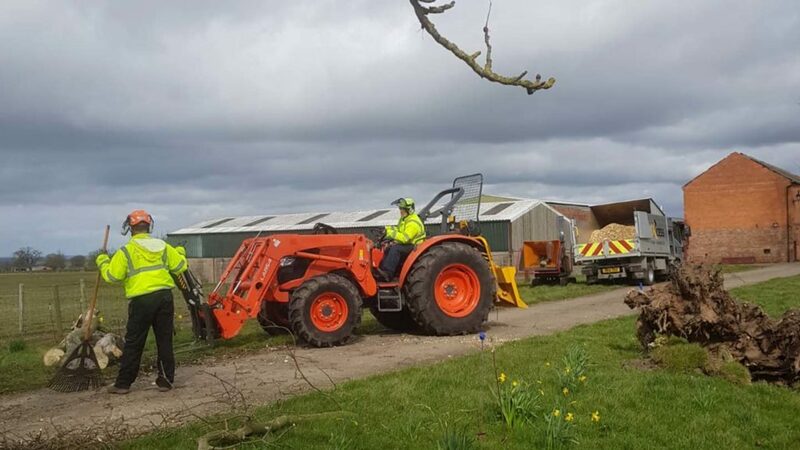 On behalf of the team at Nunsmere Hall Hotel, we would like to thank Axcess Tree Service for their expertise and professional service, and have no hesitation recommending their Services in future. Great service from James and his team - cut down and removed 2 large trees from our business premises last week. Very professional, arrived when they said they would and cleared up perfectly, all while keeping disruption to our clients and staff to an absolute minimum. Reasonable, fully insured and a pleasure to deal with - highly recommend! James and his team recently spent two days at my property carrying out various work, including felling numerous trees. They were very reasonably priced and did an excellent job. Leaving the site tidy once they had finished. I would highly recommend this local very reliable and friendly company. Prompt, reliable, friendly, fantastic crew, would recommend to anyone. They were quick, efficient and tidy, excellent value for money. This is the second time we have used Axcess and both times they offered a fantastic service. The team did a fantastic job completely cutting down trees, left area clean and tidy. Very efficient and gave trustworthy advice. Would highly recommend and will definitely use Axcess again if needed. Axcess were like the 5th emergency service! Rang them Saturday afternoon with a tree that had split in two and the bit remaining was perilously close to taking the house out. Jim arrived within an hour, quoted competitively and with Mike made the tree safe within 24 hours. Within 48 hours all the tree, debris etc was cleared. Job done. Would highly recommend them. Would highly recommend James & his team, fantastic service and left everything clean and tidy after they removed 6 large conifers from our garden. Great service, they work around you and deliver when ever is best for you, they really go out of there way to give you 5* service. Also most importantly the logs burn really really well. Great service from Axcess - very good prices and an absolute pleasure to deal with. Highly recommend!